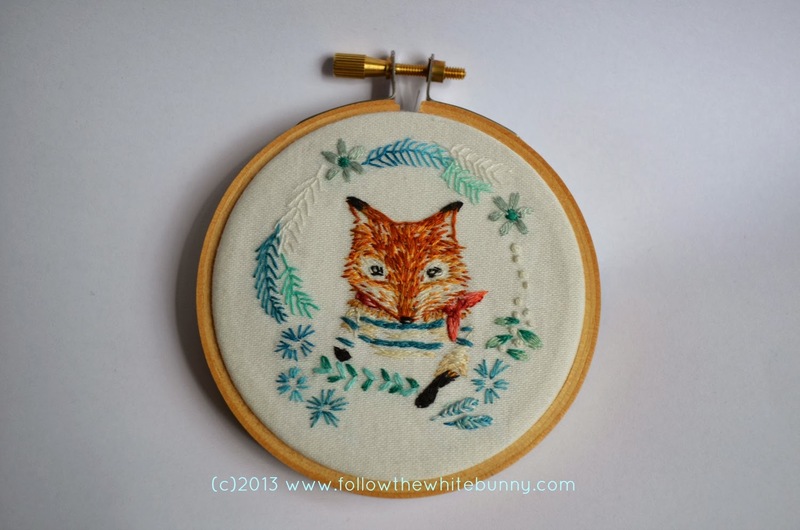 Follow the White Bunny: Join my Furry Nice Embroidery Class! 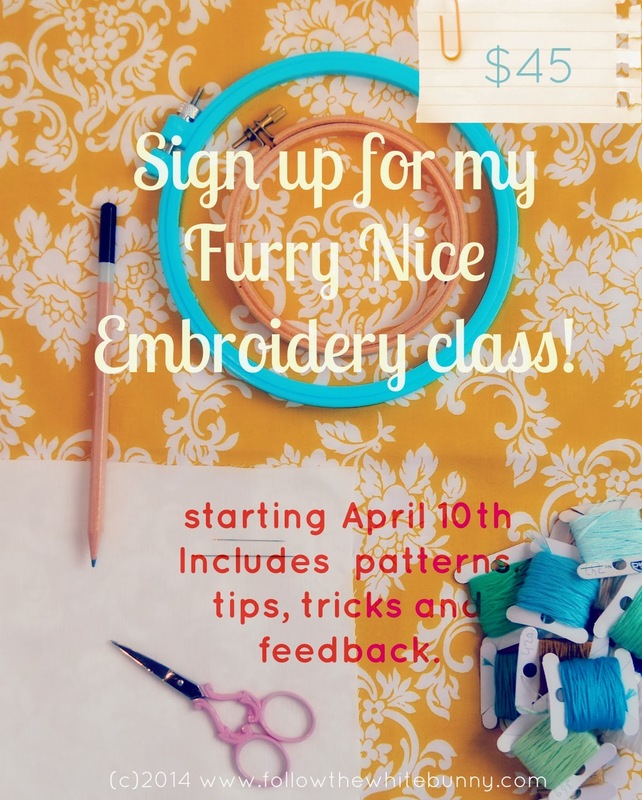 Join my Furry Nice Embroidery Class! I'm incredibly excited (and admittedly a bit nervous too) about my first online Embroidery Class called Furry Nice which launches this April. In this online class I'll be sharing with you tips and tricks that are at the heart of my unique way of stitching small embroideries of furry creatures! We'll be stitching a small portrait of a Polar Bear (with scarf obviously) and several other patterns will be included as well for you to try out your newly learned skills, like the Dapper Sailor Fox pictured below. Learning new skills is the best present you can give yourself! So why not join my Furry Nice class? You can find out more and sign up here. I just signed up. I've been wanting to learn shading techniques, and this starts the day after my birthday, so it's a present to myself.